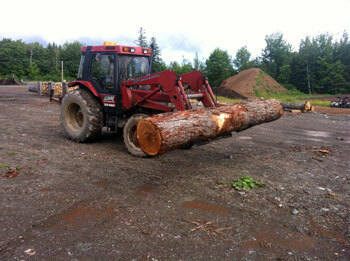 We are milling Red Pine, Hemlock, and Cedar lumber and timber products in our lumber yard minutes from Moncton. 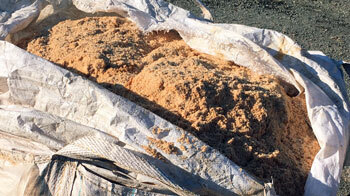 See below for our price lists and some photos of our milling process. Warmer Weather = Building Season! 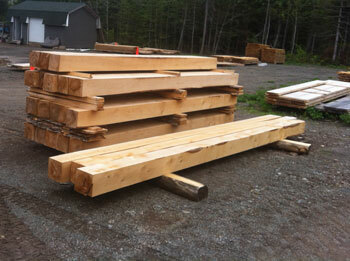 Milled lumber and timber must be ordered well in advance. What do you need? Don't Delay....Order Today!! Log bench made from hemlock timber with hand hewn edges. HST must be added to prices. 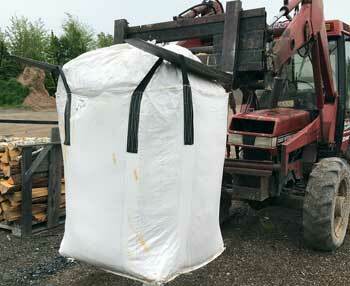 Delivery available, call for quote. 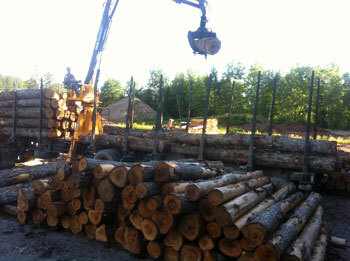 * 24' length beams available, call for pricing and stock availability. Special pricing applies. 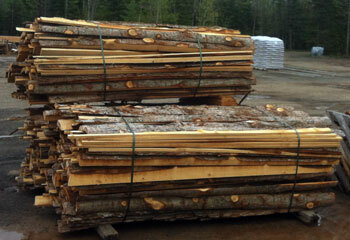 Slab wood bundles are approximately 48" x 36" and 8 feet long. 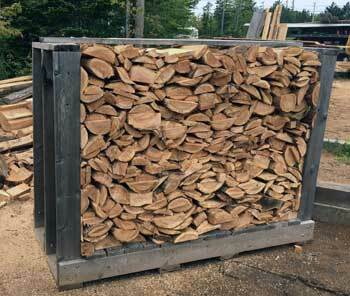 A trailer is recommended for pickup of slab wood bundles as they are wider than most truck boxes therefore could cause damage to your truck box. Delivery is available; please call for a delivery quote. 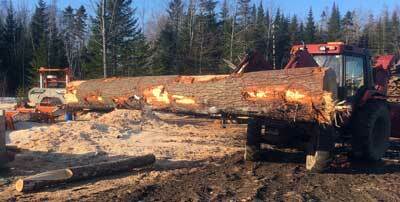 First step in the milling process is receiving the cedar and hemlock logs. 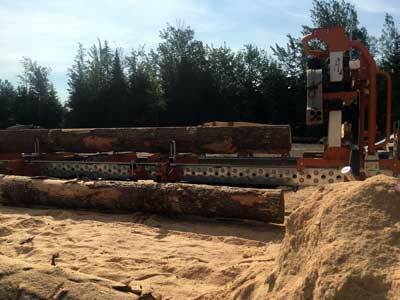 Second step in the milling process is to take a log to the mill. 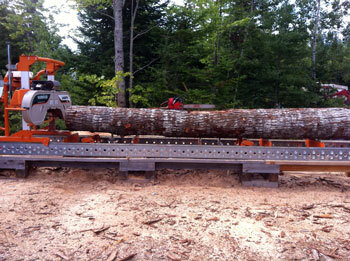 Third step is to carefully mill the log. 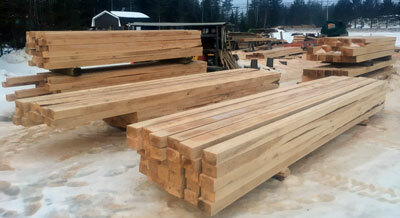 Here is a finished milled lumber product.